Full House Casino is a free to play online casino app featuring excellent graphics and a large variety of casino games to play, including slot machines, blackjack and bingo. 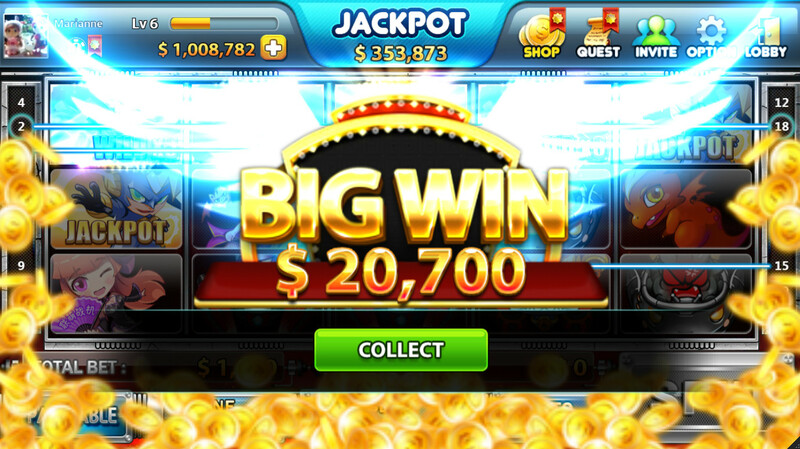 This app game allows you to play at the same time as other people – you will see their pictures and names to the left and right sides of the screen. You play somewhat competitively; the higher your score at the end of a round (a round lasts several minutes), the more bonus points you’ll win at the end of the round. Full House Casino has an Auto Spin function, however at certain occasions you will need to tap on the screen, for example when you get a (super/mega) win. The game comes with a leveling system, and leveling up is fairly easy – just play games and you’ll level up in no time. 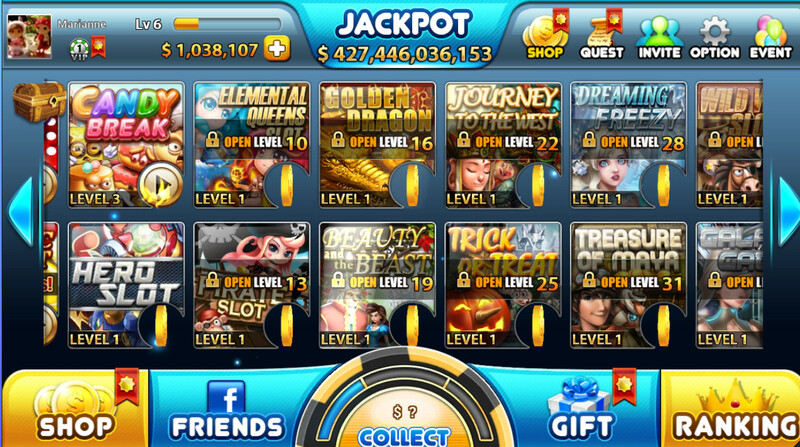 Leveling up will unlock new casino games to play in this app. 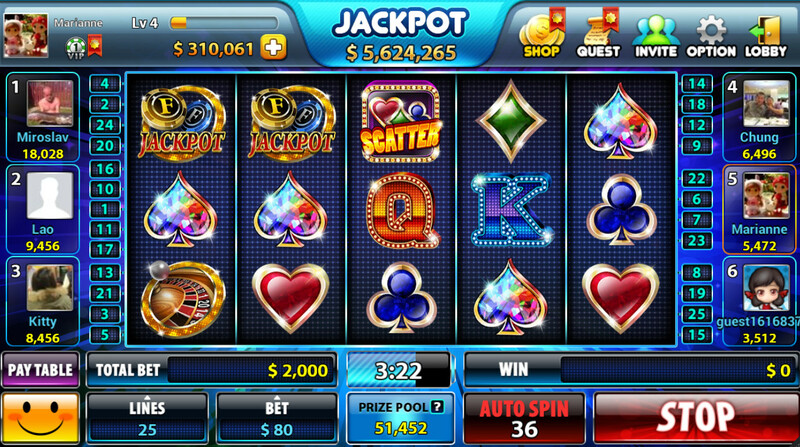 Although the graphics of Full House casino are of excellent, beautiful and high quality, the sound quality could be better. In some games it is somewhat hard to hear what is being said, although the talking is, to be fear, not 100% necessary to follow and play the game. Lastly, this casino app game does feature quality background music, although some game types are quite ‘silent’ – a little more background music wouldn’t hurt. 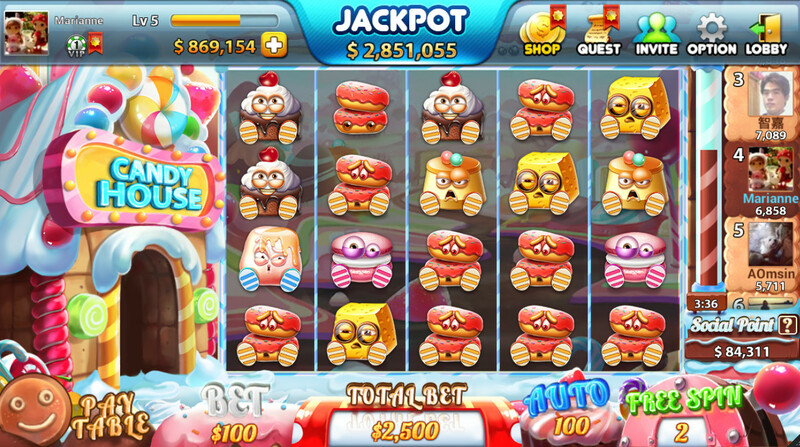 Full House casino is easy to get into and to get hooked on. It has a ton of players that you can compete with. But regardless, you will certainly enjoy the amazing graphics: cute, bright, bold colors. The game has a nice art style and features some anime-style girls here and there. What are you waiting for? Try your luck at Full House Casino!